Back for its fourth year, smack-bang in an area of truly outstanding natural beauty and still not too big for its boots, Lindisfarne Festival 2018 saw 5,000 people from across the region and far, far beyond gather ‘twixt tent and campervan under an expansive Northumbrian sky for what was easily the best outing yet for this increasingly gleaming gem of the North East cultural scene. The intimate, boutique festival has grown year on year since its 2015 debut when 2,000 revellers enjoyed an eclectic mix of indie, funk, rock, folk and dance music across four intimate music spaces. This time, the beautiful site boasted nine marquee venues of all weft and warps, from straight-laced headliner Shorefields through knockabout Sketchy Beats to shroom-infused triphouse Dingle Dell. Dispersed around an outdoor Circle of Inclusion (the place to be when you feel the need for a 1pm rave), perma-banging big tents are complemented by food stalls, market spaces, chillout zones, healing workshops and a litany of colourful characters bringing the festival to life; a tapestry of exciting folk so dense in fact that it’s hard to tell quite who are the acts and who are the punters who just put in some serious effort. Amongst all of the festivities is, of course, the music. Bigger than ever before, the ample line-up saw 150 acts crammed in across a tight couple of days, the variety perfectly pitched so everyone could curate their own individualised version of the festival. Whether it’s rock, folk, dub, bass, triphop, folk-punk, shoegaze, indie trance, new age or all of the above that lights you up, within the welcoming walls of Lindisfarne 2018 everyone was welcome to wet their personal whistle with the soundtrack to suit them. All of this amped up by the opportunity afforded by the bijou scale to get right up close to the acts and bask in whatever wall of sound you see fit. 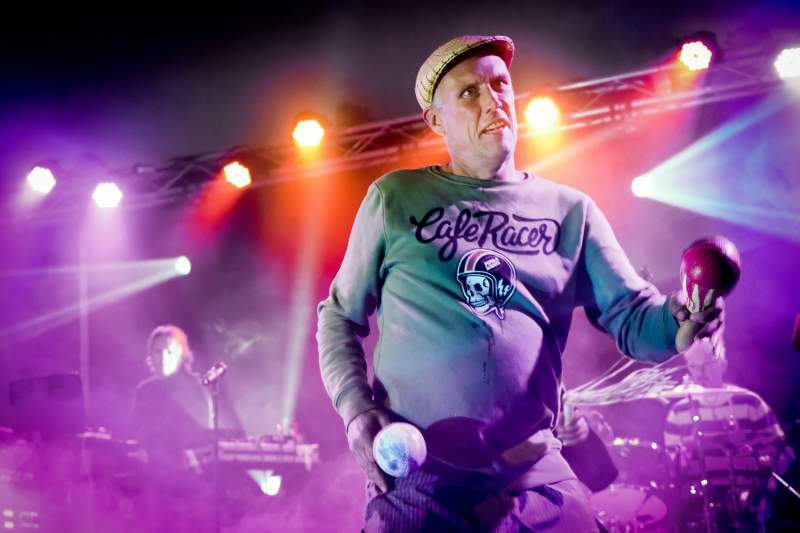 Shorefields main stage welcomed on again-off again Madchester ravers Happy Mondays to headline Friday night, Shaun Ryder audibly winking his way through the safest setlist ever alongside Bez and the gang and shining up the packed-out tent. The next night saw propulsive and punchy rolling anarchists Levellers front and centre lifting the roof off Shorefields, a near quarter century after their record-breaking turn at Glastonbury which saw them play to a (still unbeaten) 300,000 strong crowd. While punk rockers Ferocious Dog and big beat electronicists Dub Pistols packed them in, for many it was six-piece folksters Skinny Lister who stole the show with a complete barnstormer of a gig, vocalist Lorna Thomas belting them out at the heart of a raucous, fun set ahead of acousto-ravers Showhawk Duo. 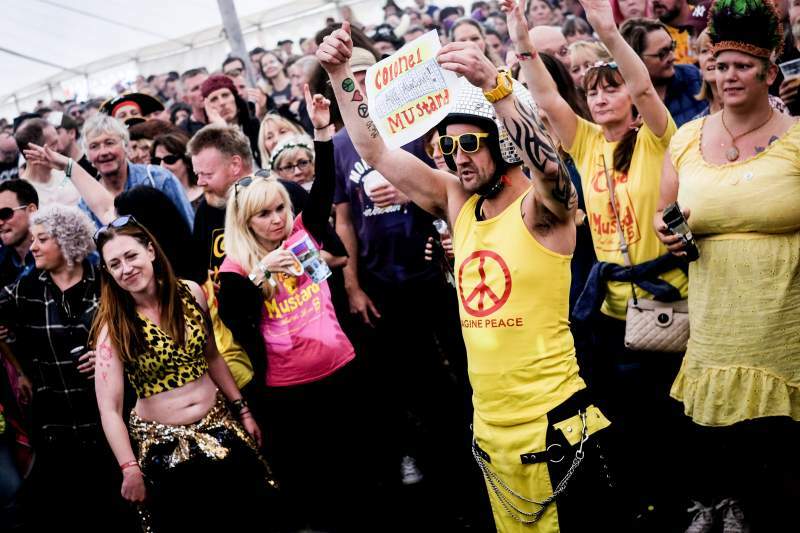 Genre-hopping and disco ball-topped, Colonel Mustard and the Dijon 5 saw a huge fan-base turnout for their sun-drenched and trumpety Friday appearance, all beach balls, big love and even bigger bass. The good stuff kept on coming. Ben Catley was strummy and focussed, Geordie roustabouts Bessie and the Zinc Buckets tubthumped for England, Hayley McKay was as luminous and soaring as ever, Feed the Elk brought the low-key psychedelia and some fabulous trousers, Mad Ferret brought big tunes as well as big beards, Big Small Boy was a highlight of the legendary and eclectic Sketchy Beats tent, the Teapad Orchestra’s very own Rob Heron DJ’d Woody’s Bar across two nights while Simon Wood (fresh off a blistering drum circle session) and Tamara combined evocative gong work with ethereal vocals. The bottom line? This thing is on rails and getting better and better every single year. With early-bird tickets for 2019 on sale from Tuesday 18th September, you owe it to yourself to go (or go back) and be part of the journey.